Nothing brings satisfaction quite like a brand new room renovation from a Carol Stream Remodeling Contractor. Whether you’re finally upgrading that old basement, or giving your kitchen or bathroom a new face lift, we can help you with our revolutionary step-by-step process. Contact a Best Home Renovation specialist today and you’ll be on your way to a brand new room environment in no time. We are your Remodeling Contractor. From custom flooring and walls to cabinets and countertops, and even appliance installation, we can gut out that old room and revitalize your Carol Stream home today. Our entire team of designers, contractors, and builders are Illinois certified and licensed in all areas of home construction. And with 45 years of experience, we guarantee satisfaction every step of the way. The most important renovation you’ll ever make in your home is the kitchen. Not only does a brand new kitchen add life to your interior, but it also adds tremendous value to your home as a whole. We start by tearing out that old tile and replacing it with custom designed tile flooring that will last you for years. From there we give your walls a fresh new coat of paint and then move on installing custom cabinets and countertops in order to compliment your kitchen. We bring all the components together for a room that has a cohesive design you’ll love! The most important step in launching your home remodeling project is the first. By sitting down with one of our consultants you’ll save both time and money, and get the peace of mind knowing that the job will go smoothly as planned. With our entire team in place, we can help you discover all kinds of kitchen and bathroom remodeling products while getting the job done in a manner that is efficient, dependable, and stay within your budget. At Best Home Renovations, getting the room renovation you want is a phone call away. Contact us today and let us help you get your home improvement project off the ground. 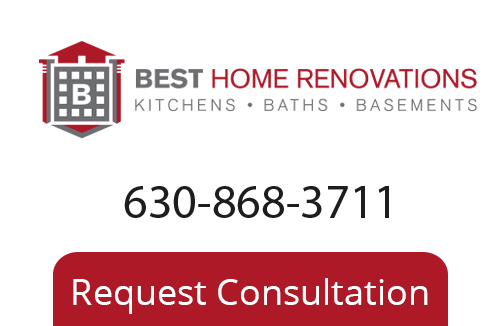 To learn more about our Carol Stream Remodeling Company please call 630-868-3711, or fill out our online request form.